In 2013, National Geographic photographer Brian Skerry joined the Wild Dolphin Project for a research expedition while on assignment for a feature story about dolphin intelligence. That story (also a cover story) — written by Joshua Foer — was later published in the summer of 2015. 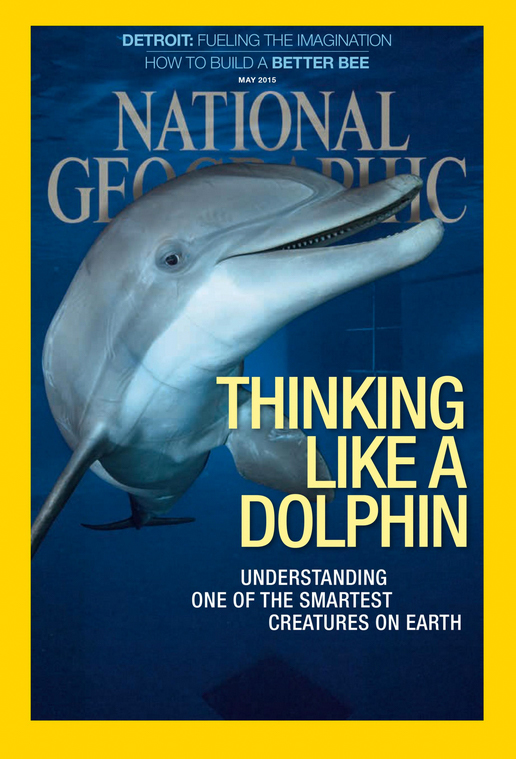 Brian specializes in underwater and marine environments, and has worked for National Geographic since 1998. 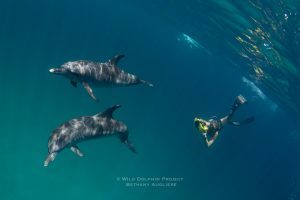 Now, Brian will join the Wild Dolphin Project again by giving a feature presentation for our 2nd annual Wild Ocean Science event, hosted by journalist Miles O’Brien. 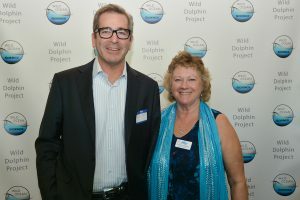 Dr. Denise Herzing with 2018 Wild Ocean Science host journalist Miles O’Brien. 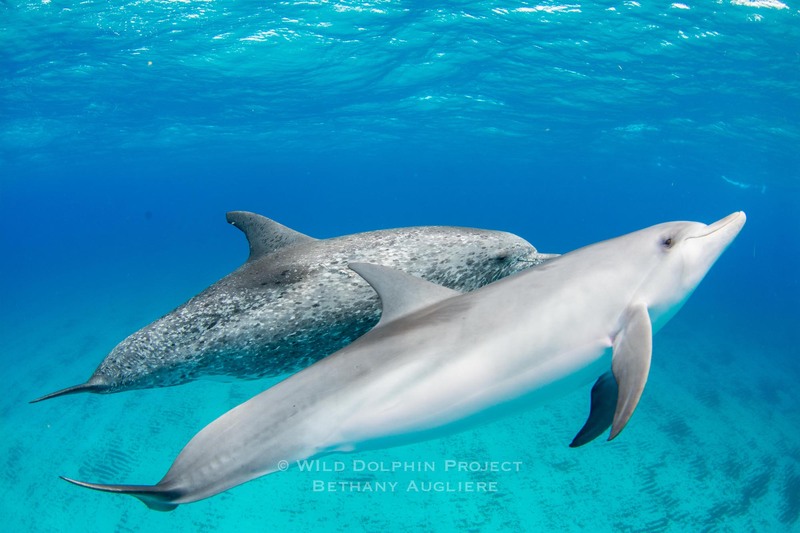 While out with us in the field, Brian was interested in photographing a particular dolphin — one we call Nassau. Nassau as a young adult in 2006. Photo by Cindy Elliser. 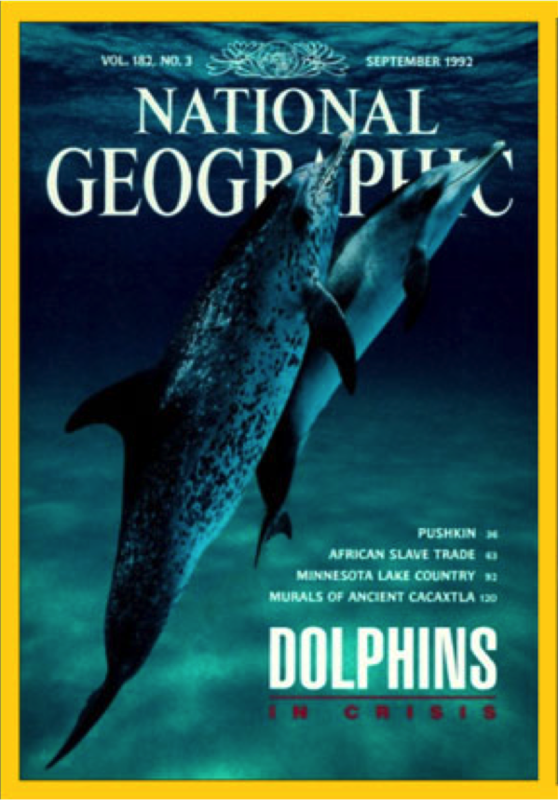 Born in 1989, Nassau graced the cover of National Geographic magazine as a calf with her mother, Nippy, for the September 1992 issue. 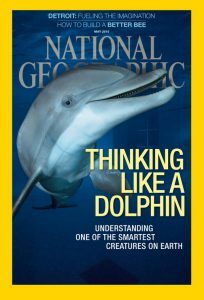 Since then, she has survived a shark attack and has had 6 calves, three of which are still alive and seen regularly: Nereide (female), Nautilus (male) and Nautica (female). Generally, Nassau and her calves are very curious and playful individuals. Nereide is now 10 years old, which means she’s likely become reproductively active, in other words, she can have babies. If she’s not pregnant this summer, it’s possible she’ll be getting lots of attention from the boys. We’ll see once we’re out there! Nassau with her newest calf Nautica in 2018. Photo by Bethany Augliere. When Brian came out with us, he was interested in photographing Nassau again, more than 20 years later. 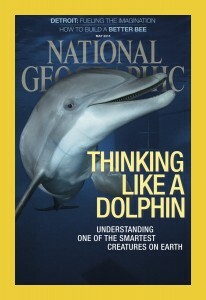 Unfortunately, we had some rough weather during his trip and dolphins that seemed only interested in traveling. However, we did see her pass by one day, and though she stayed mostly in the distance, Brian managed to get a shot of her with her newest calf at the time, Nautilus (of course he did!). 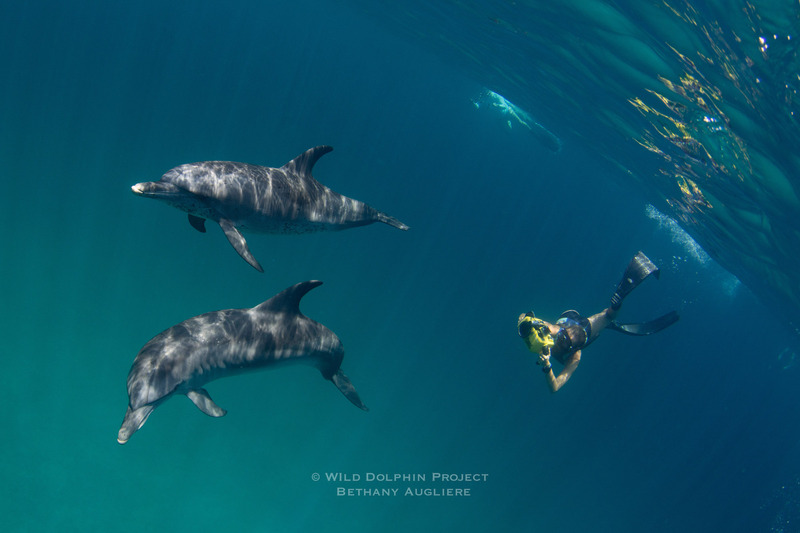 At our upcoming Wild Ocean Science event you have the chance to meet and take your photo with Dr. Denise Herzing, as well hear a presentation from Brian and his work with National Geographic. We’re thrilled Brian is joining us again!